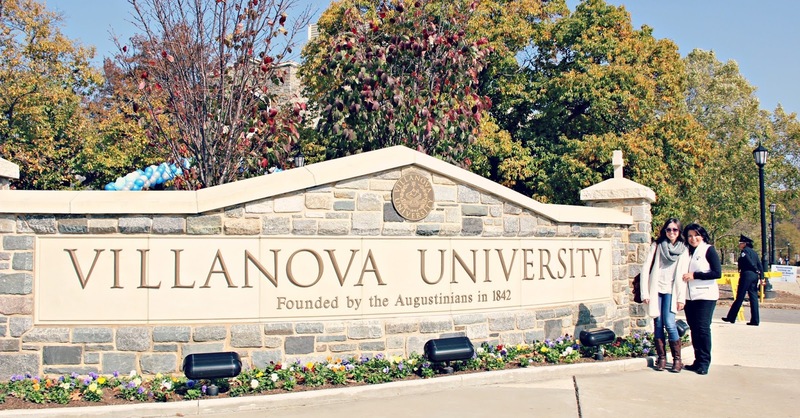 It's hard to believe that this Spring will mark five years since I graduated from Villanova University. Five years. What?! Where has the time gone!! 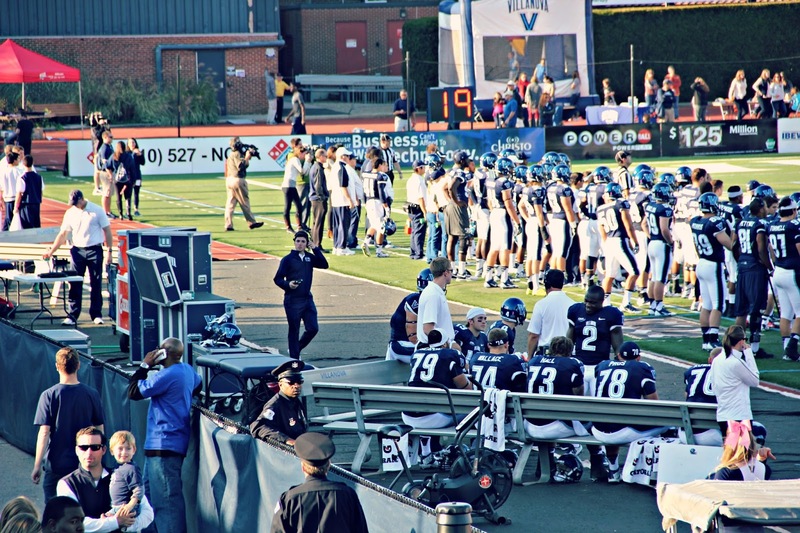 This past weekend, I took Jeremy up to Pennsylvania to go to Villanova's Homecoming. This was the first Homecoming that I have attended since I graduated and we had lots of fun! We met my Mom (who is also a graduate) and my brother (who is currently a student) and enjoyed the events around campus. I love going back. 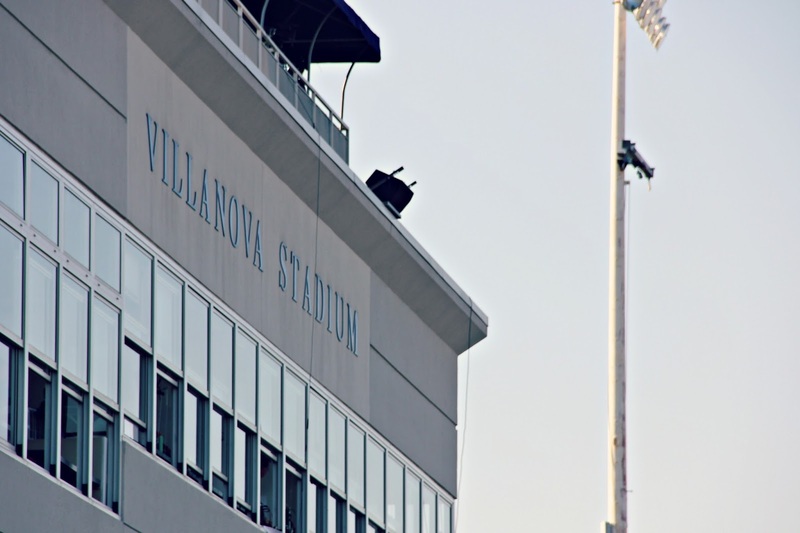 I love seeing the changes that have taken place over the past five years to the campus and reminiscing about all the fun times and memories I have from my years at Villanova. Since brother is currently a Junior, I also enjoy going to see him and hearing about all the fun he's having. He's having a completely different Villanova experience but I know he'll have just as many fond memories when he graduates. He actually works for the Football team so, of course, we went to the game... quite possibly my first Villanova Football game. That's him looking all important. 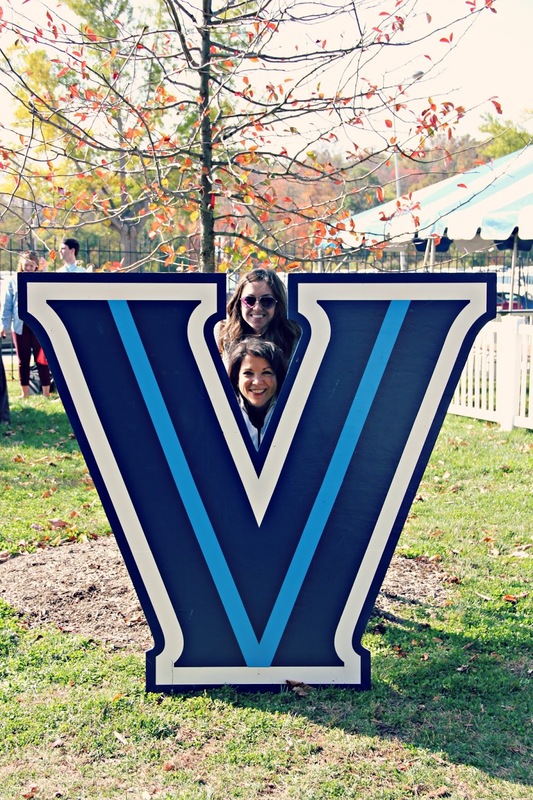 Already I'm looking forward to the next event I'll be attending at Villanova..... my five year reunion this Spring. PS. Special shout out to Mrs. Esposito and everyone else I met this weekend at Villanova who are now new readers of my blog!! Pennsylvania is so pretty during the fall - your campus pictures really captured how gorgeous it is. I love them! 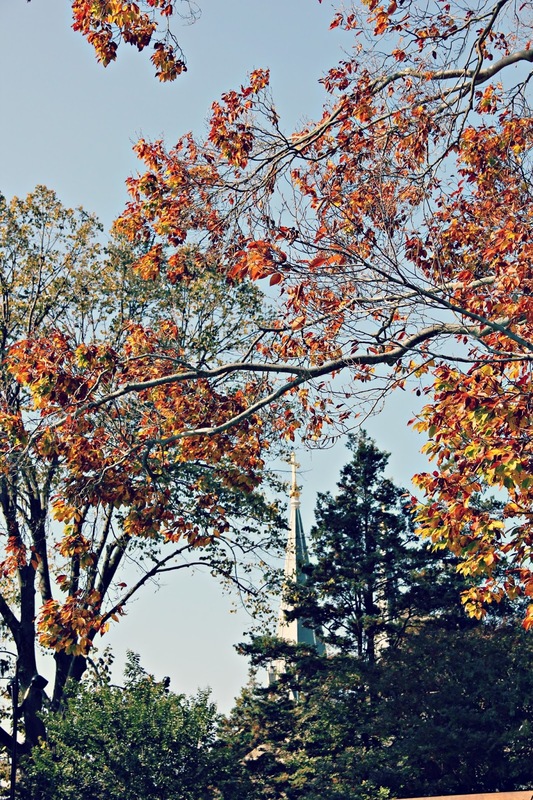 Love the pictures, you captured the PA fall and the campus beautifully! 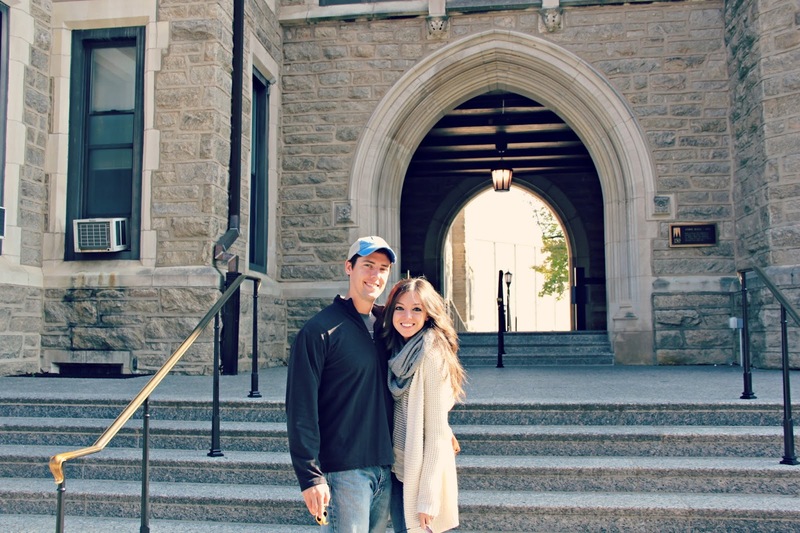 My brother went to Villanova too and I had a lot of fun visiting him. I kinda wish he was still there but now I get to hang with him when he's back for homecoming. Glad you had so much fun!